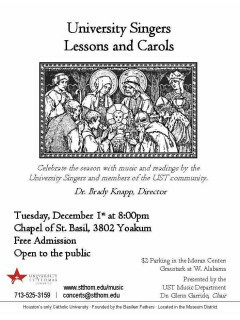 The University of St. Thomas Music Department presents the University Singers: Lessons and Carols in the Chapel of St. Basil. This annual Christmas tradition will be performed by the singers under the direction of Dr. Brady Knapp.